DMKerr sent it to me as a prize way back when I won a little contest he did. 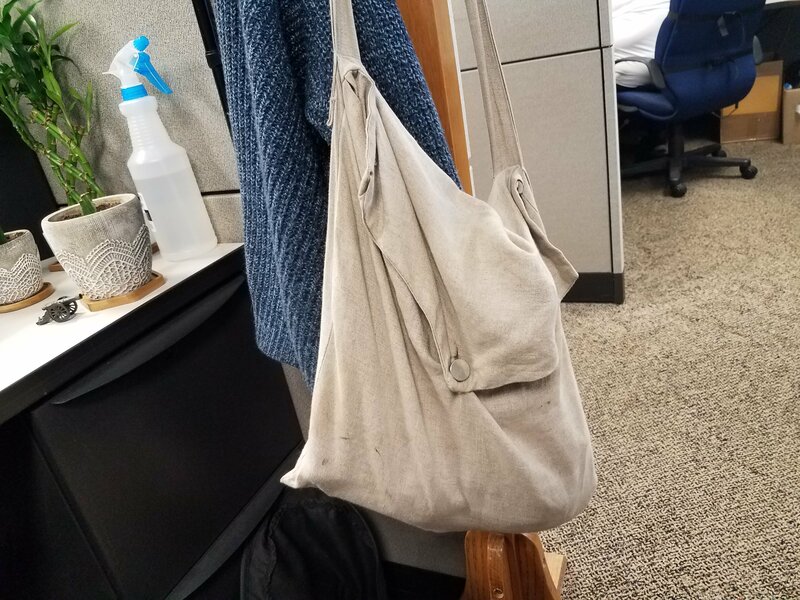 I think I know what's in the little brown pouch, but enquiring minds want to know, "What's in the little brown pouch?" As a sidenote: Is that corn from your garden? Little brown pouch is a small tobacco roll my sister made for me. Had Big'n'burley in it last I checked. Yes, that's a reject cob from last year's harvest. 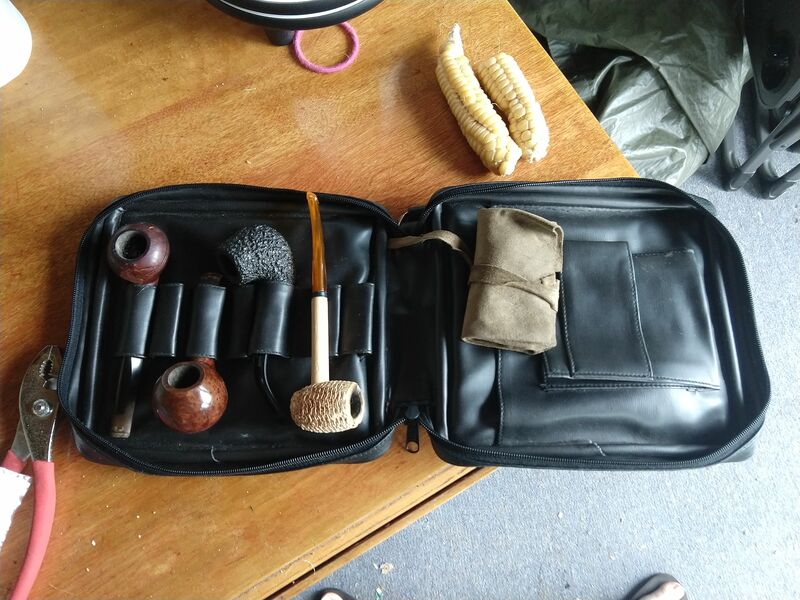 I use an old haversack to carry two or three prepacked pipes, extra tobacco, and my carrying Bible. Sometimes a bottle of water too. Had Big'n'burley in it last I checked. Big-n-Burley is always a good choice. I was guessing a Zippo in that little brown pouch. Hmmmmm.... A roll within a roll. I like it! I have a Columbus 2 pipe pouch. Creamy black leather with a nice zipper and a latex tobacco pocket. I had no real intention of buying it. It was sitting all alone on the shelf of a local B&M. I asked the price just out of curiosity. The guy said "10 bucks." I have a brown leather 4th generation single pipe pouch. Its my everyday carry. I have a nice 10 pipe bag that I got off eBay years ago. I only really use it when on vacation. If I carry more than two pipes I use a cheapo shave bag that I bought at RiteAid. Other than that, one is in the trap the other in my shirt pocket. Once I'm in my truck they go in the visor.